It's been so long since we linked up with draw with me. I will be totally honest and say my little dude has totally gone of drawing. When I've mentioned the past themes he wasn't that interested. 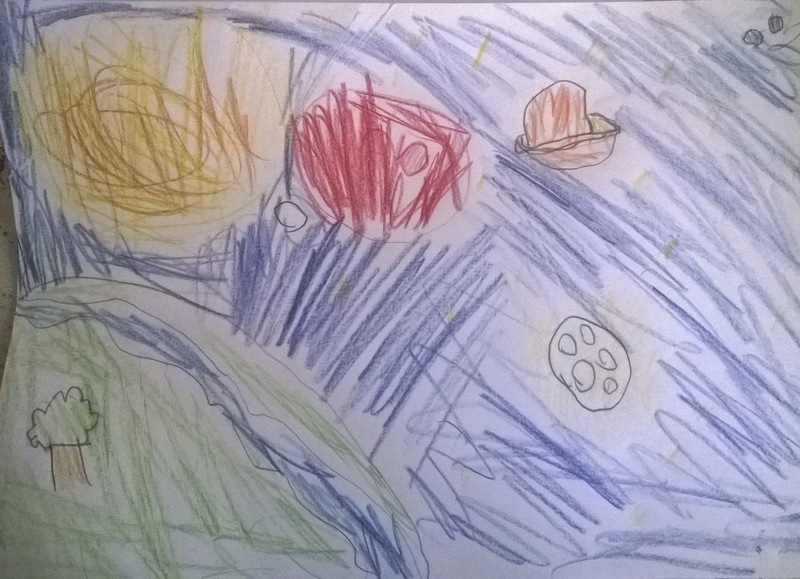 This month is Space theme and I was very surprised when he brought this beautiful space picture back from his nannies the weekend. I like how he has coloured the whole piece of paper in, with a few of the planets around and one even has a tree. That's pretty cool. I'm hoping in the holidays I can get his draw vibe back as his pictures are amazing! Ah, great picture. I love that he's thought about the planets and even got a ring round one of them.